Check out our latest online catalog to discover everything Fun Factory Candy & Novelty Co. has to offer! Get notified of news & updates including discounts! 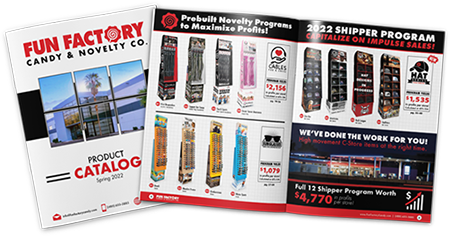 View our product flyers for pricing & additional information. Speak to a key account manager today!